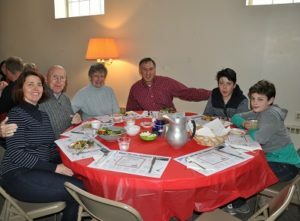 Our community delights in spending time together, and we find a variety of ways in which to enjoy each other’s company. 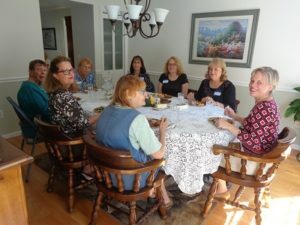 Women’s breakfasts weekly at Joey’s Diner – A wonderful opportunity for the women of the church to eat, laugh and share stories. Held on Monday’s at 8:00 a.m at Joey’s Diner in Amherst, NH. Men’s breakfasts weekly at Denny’s – The men get their time, too, on Monday’s at 7:15 a.m. at Denny’s in Nashua, NH! 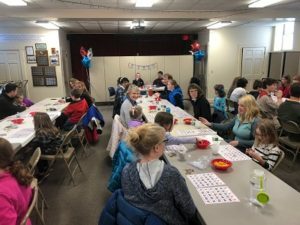 Women’s Fellowship monthly events – In addition to some community-related annual events that the Women’s Fellowship organizes, they also have monthly events that include potluck luncheons, interesting speakers, and even learning how to create Zentangle art! 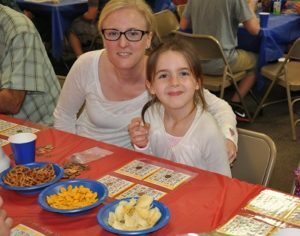 Family bingo night – Typically done twice a year, this is a great time for not only members of our church, but community members as well to have some fun family time together! Prizes and snacks are provided. 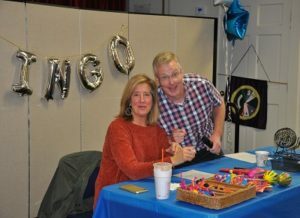 Attendee coins are used to cover bingo squares, which are then donated to the Sunday School Lenten project. 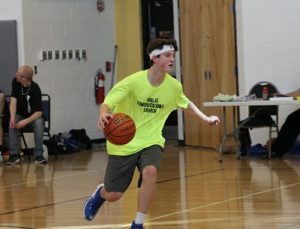 Church basketball league – New in 2017/2018, a church youth co-ed basketball team (coached by church adults) participated in the area church basketball league, playing games at the YMCA of Greater Nashua. 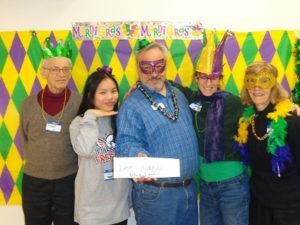 They had a great time and plan on continued participation! 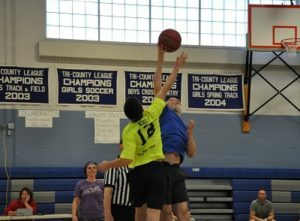 Church basketball challenge – Church youth vs. adults! 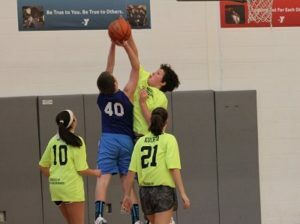 We have to confess both sides play to win, but all in good nature and lots of fun and laughs along the way! Sledding party – A mid-winter gathering for young and old alike! 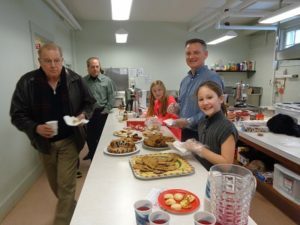 This wonderful family activity happens at Triple Knoll Farm in Hollis with hot beverages provided. Mission Trip restaurant fundraisers – Typically held at Uno’s on Amherst St in Nashua and Shorty’s Mexican Roadhouse in Nashua, it is not at all uncommon to see many of the tables filled at these restaurants with members of the congregation to support the fundraising efforts of the summer Mission Trip. Of course, inevitably the various tables intermingle with each other and enjoy each other’s company!